I have been hankering after an all electric ukulele for quite some time. Not just an acoustic with a pickup fitted, but an all solid electric uke. A while ago I had an Eleuke instrument which, whilst fun, just didn't do it for me on the sound front, and I subsequently sold it. Since then there is one very intriguing model ukulele that has been calling me. Finally bitten the bullet - say hello to the Risa Uke-Solid. The Risa Uke-Solid (previously called the Uke-Stick) is a solid body ukulele that basically just amounts to a strung piece of wood with a pickup fitted. Whilst that sounds simple, where it stands out from the crowd is it's unusual and striking design. From what I read online, the looks of this thing (think miniature cricket bat with a hole in it) suggest it is very much a 'Marmite' uke - you love it or hate it (for my international followers - Marmite is a spread which people either love or loathe). This ukulele player likes the looks. In fact I like the looks a lot - there is something so unique about it, the way it is strung, the lack of a headstock that I think is impressive in itself - a company doing something away from the norm. Comparisons all over the web will be made between this and the (cheaper) Eleuke range, particularly the very simple Peanut uke model. Those Peanuts are £70 for what is, again, a slab of wood with strings on, whereas this runs at £170. There are distinct differences though and I will try to touch on those in the review. The Risa is designed and made in Germany, and that precision attention to detail really does ooze out of the thing. It is extremely well made and even more extremely well finished. It is such a tactile instrument with a beautiful soft smooth satin finish that is a joy to hold. The whole of the body is made of one piece of maple, and for the concert model it has been stained brown. The Soprano offering comes in either unstained maple or black, and the tenor in a darker wooden stain. I love the grain on the body with almost tiger stripes in places, particularly on the back of the neck. The first most striking difference between this and, well... pretty much any other ukulele is how it is strung. There is no headstock on the uke and the knotted end of the strings start at the very end of the neck where they are fed through the headstock via some small drilled holes on the back. From there the strings run down the fingerboard, over the bridge / saddle mounting which is set in an aluminium block, around a round aluminium guide bar inside the "hole" in the uke where they then shoot off on an angle to the tuners. Certainly unusual, but as I say, this is a design that is far from the norm. Dude, where's my headstock? String holes. 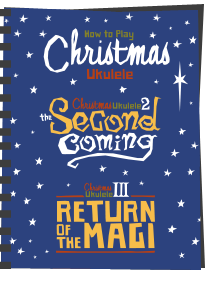 Starting from the neck down (in reverse to how I normally order my reviews, but then, this is a uke in reverse!) the fingerboard is extremely soft and smooth. The neck profile is almost square with rounded corners and really chunky. There is no fitted fingerboard and the nickel frets are set directly into the maple. I said it had 15 frets, and it does have 15 'playable' frets. There is an additional one though right at the top - a 'zero fret'. Because the uke has no nut - this zero fret represents the point at which the scale length of the strings starts. The benefit of this is in tuning and intonation accuracy - no nut slots to cut correctly. Fret markers are evident on the third, fifth, seventh, tenth, twelfth and fifteenth. They are in a white pearl finish and I like the way they are offset. Side fret markers are also evident in black - a plus point often missed by some makers. Risa Solid Neck - note off centre fret markers. Down to the body proper and things start to look even more unusual. Firstly, you can't really ignore that logo. WAY to big and bright in my opinion. For a uke with such a slant on design and looks, I have no idea why they slapped a cheap looking bright white screen print on the body. I know they want the brand on it, but please - a little smaller, and perhaps in cream? That said though - this design is so iconic - why go with the logo at all? Perhaps put a smaller one on the back. 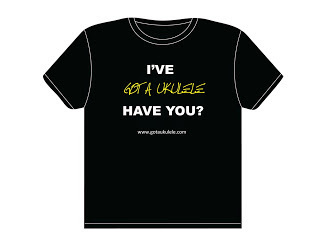 Flukes and Fleas don't have huge logos slapped on them and every uke player knows what they are. Logo - way too big and bright! The strings pass over the cavity carved out of the body and over the bridge. The bridge is a piece of solid aluminium that sits across the uke, resting in a slot in the body. It is kind of like an aluminium boat with a slot routed out of it for the saddle. The saddle is plastic looking and seems raised at the 4th string end, presumably to account for the lack of a nut that can give the strings the correct height. Of course it is what is under the saddle that makes this ukulele what it is though - the pickup. Inside we have a passive Shadow brand pickup - this being the first big difference to the Eleuke range. 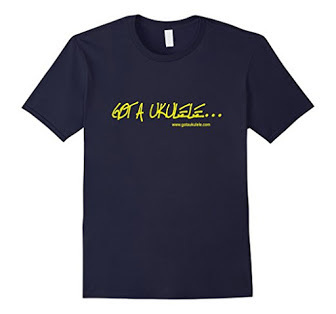 The Eleuke instruments use an active pickup system - that is to say a battery powered one. This does provide a few advantages, namely it is easier to drive smaller unpowered speakers or headphones. In fact the Eleuke has a dedicated headphone socket and MP3 input - both of which are missing on the Risa. The Risa being passive means that it needs to get plugged into a powered amplifier with a standard guitar cable. The Risa also lacks shaping controls (tone and volume) which are present on the Eleuke meaning all adjustments on that front need to be made on the amplifier. Sounds like the Eleuke is winning the day on this front - but do read on, as the sound is what matters. Over the bridge and the strings then swing around a round grooved bar which sets them back in the other direction, but off on an angle towards the tuners. I have read much about this bar and its design being rather troublesome with regards to tuning and string breakages. The trouble seems to be with the A-string in particular, and looking at the bar I can see why - the angle the string takes seems quite severe and I can see it cutting up against one of the grooves. I have tried an immediate remedy by applying some graphite based gel called 'Nut Sauce' (no sniggering at the back) to the grooves. I shall report back if it works. It strikes me that if that is the problem, the design can be altered. The strings only need the guide groove where they go over the top to keep them spaced, but I think the groove around the back and underneath could be then flared or widened out to stop the string catching. String guide bar - A string bottom of picture. On to the tuners and we have a set of four banjo style planetary geared tuners. These ukes previously shipped with friction tuners, but it is pleasing to see they have chosen to upgrade this part of the instrument. Planetary tuners look like frictions, but within the casing is a planetary gear system giving the best of both worlds - mainly easier to turn (which was a complaint with the Risa frictions as tuning the thing is already a bit fiddly as you will read below). The gear system means that you turn the peg four times to turn the sound post once. I like them, though they are a little big. To be fair though, because of the design of the instrument I cannot see how any normal geared tuners would actually fit or work. To help with that string angle from the round bar, the tuners are set on an angle which looks kind of funky too. The tuners are, however, unbranded with about the cheapest looking bright white plastic buttons on them. Again, an odd let down on a ukulele that is driven so much by design (why did they not choose cream buttons to match the saddle and jack socket mounting plate?). You can tell they are cheap buttons as you can still see and feel the line between the halves of the moulding press when they were made. Being white that line soon catches grime and muck from the fingers and starts to mark. The tuners themselves turn just fine, but the whole issue of tuning is one that you need to get your head around. It just isn't intuitive as it is with a standard uke and I still need to check which peg goes to which string, and which way to turn it. Add to which they are quite big and there isn't a lot of room for the fingers and it gets more difficult. I have not done a string change yet, though I can see that being a pain, and the use of a string winder possibly a major problem. The issues with that metal bar are also evident when tuning, as you don't seem to get a smooth transition up through the pitches, but rather it leaps as the bar seems to be biting or gripping the strings. It's a gripe that doesn't ruin the instrument, but it does mean that the Risa takes quite a bit longer than any other uke I own to get tuned up. The good news is that when it is in tune it STAYS in tune. Elsewhere on the body we have a quarter inch cable jack socket on the underside of the body, set into a (ugly and overly large) cream mounting plate. Not sure why it couldn't just be mounted to the body direct, but more importantly why couldn't it be mounted on the end of the uke? I say this as when playing it sat down and plugged in, the guitar cable digs into your leg. Sure, you can use a right angled jack, but if the socket was somewhere else there would be no need. The back is plain aside from a branded serial number. The Risa comes fitted with two strap buttons - one at the end, and one at the heel of the neck. A nice touch here is that the strap that comes with the case has detachable ends with D Rings on them which you can leave on the uke. When travelling, the strap clips to the D rings on the bag itself, but when playing you can remove the bag strap and clip it onto the instrument - a genius idea! The bag itself is also nice enough. It's not a hard bag and won't offer crushing protection but it is soft and zippered and good quality. The stitched Risa logo in white certainly looks better on the bag than it does on the uke! Strings on the uke are Risa labelled brown Worth Mediums. 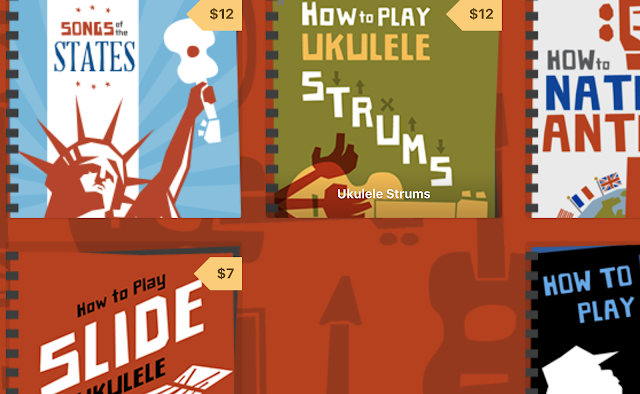 Nice to see that ukulele exists that DOESN'T ship with Aquilas. So a bit of a mixed bag so far with one or two issues there to be aware of but on the whole a lot of positives. On to playing it. I had read many concerns online about it being an uncomfortable uke to play, or worries about the lack of headstock. For me, both of those are unfounded. Whether strapped or held without, I find the instrument really easy to hold and the neck profile very comfortable on my hands. It is also really light and a joy to hold and play for a long period. I had no issues with the missing headstock, and despite there being little room up there, a clip on tuner attaches to it just fine. Once in tune, it stays dead in tune and intonation all over the neck is spot on (as checked with a strobe tuner). There is a really nice 'feel' to the way it plays too, with a very low action (helped by that zero fret) making it an easy uke to play fast. Forming chord shapes is effortless and requires only the very lightest touch, which is not something I could say for my old Eleuke. I used the word 'tactile' earlier and this really shines through when playing it - it FEELS good to play. What about the sound? Well unplugged it is very, very quiet but still audible making it great for late night practice. I'd say it is about 25% the volume of a regular acoustic ukulele. But you buy a uke like this for one reason and that is to plug it in. WOW! Very impressed! Despite the shortcomings of not having a pre-amp or tone and volume controls like the Eleuke, this is one sweet pickup. Plugged in to my Marshall Acoustic combo I can get bell like clarity on a clean setting and really rich harmonics on chords. The tone is absolutely wonderful and you can tell it is a higher end ukulele from this alone. Of course you can have all sorts of fun making the tone a little dirtier or running the uke through effects pedals as well. Zero feedback too unlike electro acoustics. It is a shame it misses the tone and volume controls but if that is a sacrifice that needed to be made at the price point in order to get this sound, then I think that was a good one. Compared to the Eleukes I have played the tone is far far superior as to my ears, their pickups sound rather thin and clunky. Plugged in to a micro amp is just as much fun, and into my Pignose amp, with the volume anywhere above about 3 o clock and it creates nice warm fuzz! The sound is also really balanced across the strings (something else my Eleuke failed at) - the benefits of a better build quality and pickup. It also misses out on the headphone socket the Eleuke has, but to be honest that was the feature that I least liked about the Eleuke - the sound from that headphone amp is brittle, thin and rather nasty I thought. On this instrument I plug in a Vox Amplug external headphone amp that I already owned so I am good to go, and that has a far nicer sound than the Eleuke. So soundwise I think it beats the Eleuke hands down despite it missing some handy features. Comparing the two on looks would be unfair because they are so different (though I think the Risa has killer looks! ), but the whole tuning thing on the Risa is something to be very clear on if you are buying. 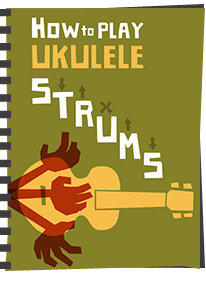 The Eleuke uses the tried and tested method and is, as a result, a much easier instrument to get along with when getting it in to tune. The Peanut is also significantly cheaper than the Risa and that needs to be taken into account also. 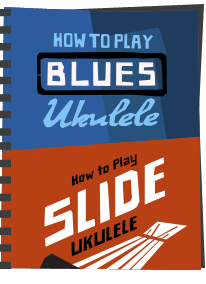 Yes, it also has more features, but as I say above though, I actually think those extra features on the Eleuke are not much cop, but there is still no arguing with the Eleuke prices. The Risa is not without it's problems either. It is a real shame that there are some design flaws in there (easily fixed ones too), and the tuning is jerky and awkward (less easily sorted if they are sticking with this design). In terms of final recommendations though - if you really care about the best tone and great build quality in a striking package, I think the Risa is hard to beat when choosing a solid body electric uke. If you are just looking for a solid electric for a bit of shredding fun - I suppose you can afford to look elsewhere. I have the tenor version. It has the orbital tuners and I don't find tuning too tricky. If the target note is missed (gone too high) it helps to back off further than you might with a normal uke before coming back at the note from below. One thing I love about the Risa is its clarity of sound which encouraged me to work on my finger picking style. Another plus is the size of it: even the tenor is shorter than a regular soprano uke. That's a long and informative review. I read that older models of this uke had problems with the tuning but since they improved the tuners it should be better. The RISA solid body is produced in Eastern Europe. That's why they say " Made in Europe ". Bought the tenor version but the a string has broken twice in first two weeks ! Is it a design flaw and does anyone know how i should handle ? Are risa good at customer service ? Is it worth just trying metal strings or what ? Any advice greatfully received ! It's a bit of a design flaw, but one that can be overcome easily. I've not broken a string since doing this. Thanks for the extensive review and sound sample! I got the tenor version as a gift 4 years ago. Thus, it has the old (and apparently worse) tuners. It was a fun instrument but the tuners quickly crapped out, wouldn't hold the string in tension and broke a few strings. Life got busy and I did not follow up with Risa. However, I would love to get the thing up and running again! Do you have any advice on how to proceed? I live in the US, so do you know how to contact their company? Do you think they can send me the upgraded tuners? Or, should I take the Risa into any instrument store and see if they can help me with a repair? Well, I must unfortunately report that Risa's customer service was far less than helpful. I explained the situation to them and, rather than replying with advice, they became defensive. I explained the trouble I had and asked how I could return the instrument to playing condition. They said they would not replace the product (I did not ask for that and would have never expect a replacement!) and assured me that "it certainly was not a quality issue." How they reached that conclusion without looking at the ukulele baffles me. What I would have appreciated were details on how I could resolve the problem. What I got were allegations of mistreatment of their fantastic product ;) Well, I finally weaseled out of Rigk the right tuners to buy. But, I must admit that I will not be buying another product from these people. They may have designed a unique ukulele, but they certainly are not willing to help resolve the issues their customers have with grace and respect. Wow.... That sounds terrible. Shame on you Risa - hope you are reading this! Ya... I hope so too. Haha! I should add, for those who are curious, the new geared tuners are not compatible with the older uke solids unless you are a very experienced luthier or want to pay one to do it. You can, however, buy grover 3w tuners (I am thinking about getting the 3b tuner as it is the exact same but has black buttons. Would that be tacky?) and replace them. Rigk made that sound easy but I have not yet done it. Just to let you know after having the broken strings i contacted the music shop and the distributor confirmed a batch had not been finished correctly (too sharp on a string tensioner). I used the nut sauce on the new one they sent me. All great since. Many thanks barry maz for a great review and good advice too. A word of information for your readers who have experienced difficulties with RISA customer services, please note that, apart from one or two stores which have, historically, bought direct from RISA, I handle their UK distribution through my company Stones Music (www.stones-music.co.uk) and have done so since 2011. I will happily attempt to deal with any enquiries and people may find it easier to deal with a UK-based distributor than the manufacturer. I carry some spares in my warehouse and am in regular contact with RISA should other items be required. Risa electric ukes - that's the uke-solid, uke-ellie and LP ranges - are all manufactured in the Czech Republic to RISAs owen designs. RISA acoustic instruments were, until recently, made in Portugal but those have been discontinued for the time being. great review,, thanks... I didn't know about this style of Uke. ... I've just got notice about this review,,, but looking a replies.. it's an old one ??? as I've noticed with a few other reviews. seems a bit pointless to me to be sending these reviews out. why not new reviews ?? Great review. Thank you Barry. Not sure what you mean - yes its an old review - Am I supposed to delete it because of that? The uke are still made and havent changed so everything I say still stands. New reviews coming soon though - only so many hours in the day! That was a real good right up big thanks on that, I have one on order ( Concert ) could you plese tell me which Vox Amplug you have. If I'd of read this before getting one on order It would of got it sooner but only just found this, glad it looks a good buy. I have a VOX AC30 Amplug and it works well with my tenor Stick. For a clean sound, put the gain below 3, and crank up the volume. Overdrives easily with gain above 3. I've also modified my stick somewhat. I hated the strap peg on the back, so I carefully pre-drilled between the string holes to put the peg at the head. Wrapping the strings around the aluminum cylinder creates some tension. Very slow, careful, tuning adjustment, while 'relieving' string tension by pressing sideways on the short part of the string is necessary to keep the E and A strings from breaking. Eventually, to solve the problem for good, I installed individual needle roller bearings for each string. Here are some photos of the modification, which involved widening the hole below the cylinder with a drill press and scroll saw. I too use a Vox Amplug from time to time myself. Hi Barry, I recently brought a Risa from reading this review and others on YouTube, but there's a small crack in the wood at the pickup when I received it in the mail. Should I be worried? (I'm worried, ....haha ) I sent them an email with a picture; awaiting their reply at the moment. Jennifer - personally - if it's new I would send it back. At the end of the day, it's not right! what strings are used on these wonderful ukeleles (aquila/stock)? are they easy to have replaced if they break? sorry my previous comment.. was to say CAN you replace the strings with aquila/other if they break? Yes, there is nothing specific about these Risa ukuleles that means they need special strings - any strings of the right scale will work. Any reason you'd be hesitant to buy a used one? Not really Jim - they are solid as rocks. Sometimes string knots can get stuck in the holes at the end of the neck, but a tap through with a jewellers screwdriver will release them. Check the jack socket as I've seen them work loose, but other than that - not really! Between that demo and your own review, I'm convinced. Many thanks. Barry, I've just received mine, bought from Dangleberry Music via Amazon. I absolutely love it. Maybe this is a newer version because the Logo you mention IS large, but quite grey and not to blatant. Played silently, it's magic for practice with a great action. Very comfortable to hold and play. As a first test, I passed it through one of my old Zoom FX boxes. (I always have the first channels set to 'clean'). It played perfectly with clear, bell-like tones. But it was when I added a touch of reverb, and then delay and then some of my more bluesy or obscure settings (including a powerful organ effect) that I nearly fell off my chair! Uke meets Peter Green meets Hank Marvin meets Roy Buchanan .... well maybe not quite, but it was amazing how well it coped with anything I threw at it. For a nylon-strung instrument this was WAY beyond what I hoped for. So for uke purists who want a means to practice silently with the option to amplify without feedback it seems perfect for the price. For those who want that and a means to push boundaries, it's a dream come true. Have you guessed that I really rather like it? I've uploaded a preliminary review for Amazon but will return in a week when I've had a lot more time to explore the Risa. I'll add some photos but I've already included a reference to Dangleberry and a pointer towards this ukulele.com review. Now I'm off for another noodle - and it won't be in a Bachelors packet. Thanks Alan - good aint they? 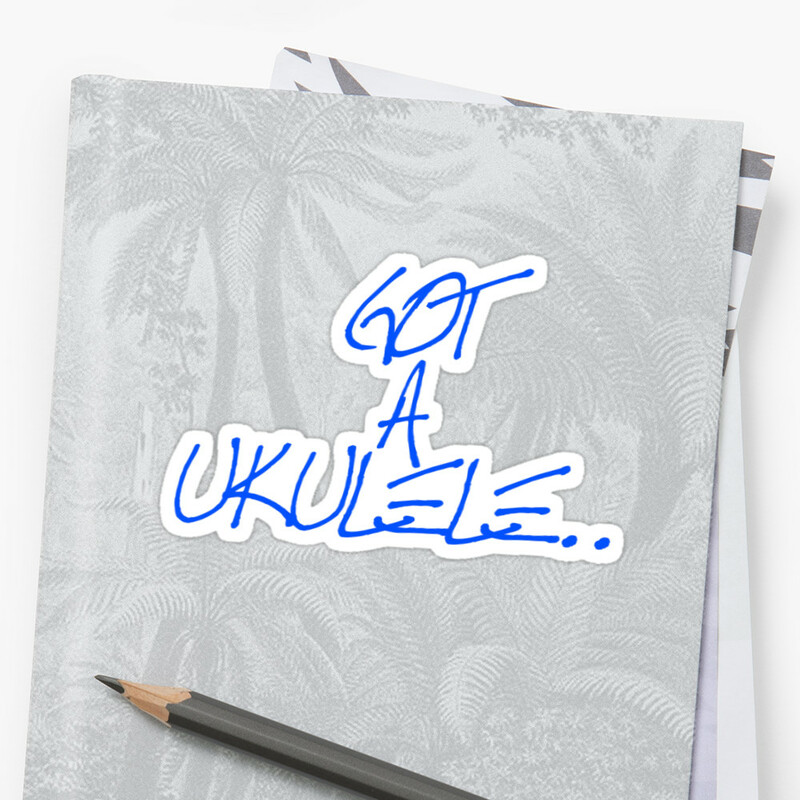 And it will be a ukulele you stick with. I've used one on a very large stage in front of a crowd of over 100 people plugged in to a big rig. Didn't miss a beat! Ever since I found your review of the Risa Solid here (2014? ), I've been coveting one, and was finally in a position to "make a move" a few weeks ago. I decided to go for the tenor model, partly as the soprano looked *too* tiny, but also I wanted a decent scale with a low G tuning (basically, to be able to use the uke as a travel-guitar substitute). My Risa came with strings I didn't like - clear (fluorocarbons? ), too high-tension for my liking, and high G - so after some advice-seeking I ordered a set of Worth Brown WT-LGs, with an unwound low G. I found these a *big* improvement in feel, sound and even looks - if you're looking for strings for a Risa Solid, I'd splash out a bit and try Worth Browns. I've just taken delivery of the Tenor version of this, after much deliberating... Totally blown away. Probably the easiest Uke I ever played. Beautiful made, arrived in tune (DPD didn't even screw that up! ), amazing action, perfect! I've bought this to replace a Stagg LP copy thing which was fun but awful to play (high action, tiny neck etc). Thanks for the review Baz, "it was you that won it" LOL. Keith - a lot of people like the VOX ones, but to be honest I think they fall apart easily - had a couple that just didn't last. I think the Belcat ones are much cheaper, just as good and last longer. Hi Barry! Thanks for all of your reviews. They were so helpful in making my decision for a new ukulele... the RISA US-C Ukulele Solid Concert. I ADORE this thing. I wanted a new ukulele that I could plug into with headphones but felt that the ones with pickups took away some of the "acoustic charm" from the instrument. The RISA is perfect – it's quirky looking so plugging into it makes sense to me (crazy I know). Mine shipped with Aquila strings, and the logo is now silver screen print. I agree with you about the logo, a bit horsy for such a little instrument! The Belcat sounds great with it, but I wish it wasn't so bulky. (sigh. first world problems) I tried the Bravo Audio Headplug Mini Rechargeable Guitar Headphone Amplifier but found it disappointing. The volume and sound quality is inferior to the Belcat, and much more expensive. I returned it, and am sticking with the Belcat. You mentioned not being meant for steel strings. I have a soprano Risa solid and had it restrung with a steel C strong (the rest normal strings) and it sounds great. It's been good for 5 years; should I be concerned?